Imagine a business card with the person’s name and then average CPA, mediocre hair stylist, okay lawyer, decent plumber, adequate coach, etc. Any chance of you choosing to do business with that person? People are often doing just this on an energetic level. Because they don’t own their value, skills, education, and experience, they are putting out a vibe that keeps business away. Sure, there are some cases where a person’s skill set is not up to standard. And if that’s you, obtain those skills. But most of the time this is simply head trash, people being judgmental of themselves rather than kind to themselves. 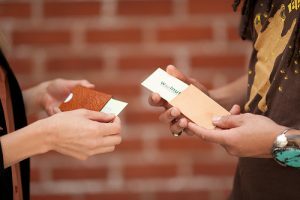 If you have a bad business card, your results won’t change until you upgrade your opinion of yourself.